Are you looking to plan a hassle free summer holidays in India in 2017? Are you wondering which are your best bet for summer holiday destinations in India? Our collection of places to visit in India in summer offer you the widest possible choice of places to pleasant and sun soaked places across Indian subcontinent. Be it the beachfront luxury at some of the finest south Asian beaches or the spiritually & mentally uplifting embrace of Himalayas; be it the yoga & meditation centers where the Beatles embarked on quest for Nirvana & inspiration or the tea and spices laden Western Ghats; take your pick from our wide range of destinations and vacation ideas to ensure that you have a perfect and memorable summer holidays in 2017. This list of some popular and some off the beaten path tourist places in India is our endeavor to help you plan an unforgettable summer vacation in India whether its a family break, a get together of friends, escape from your corporate existence or a romantic getaway and honeymoon trip. So without further digressions, we move on to our list of the best places to visit in India in Summer i.e. March, April, May, June, July August and September to help you plan your vacation! Fondly referred to as the "Little Tibet", Ladakh is no more the India's best kept secret when it comes to tourism and one of the finest places for summer holidays in North India. This high altitude cold desert in India is a once in a lifetime experience. Remember the ad of Mastercard…there are some things that money can't buy? And that is why we have also featured Ladakh in our list of top 10 places to visit in India. Well Ladakh is one such thing. A trip to Ladakh - just like love - can't be expressed in words. The mighty Karakorum with its cotton-wool peaks bounds Ladakh, a terrain characterized by vast barren valleys, lofty mountain passes, beautiful lakes, and the last undisturbed home of Tantric Buddhist population. Ladakh's arid terrain undergoes drastic weather changes owing to its elevation. Temperature varies in extremes both during summers and winters. That's the allure of Ladakh. Summer is the best time to visit this magical land of Lamas and that is why it is the top tourist place in India to visit during summer. Every summer, motorcyclists from India and world gather in and around Delhi, Srinagar or Manali to embark on adventurous trip to Ladakh by road. Manali - Leh Highway is the favorite among the thrill seekers. 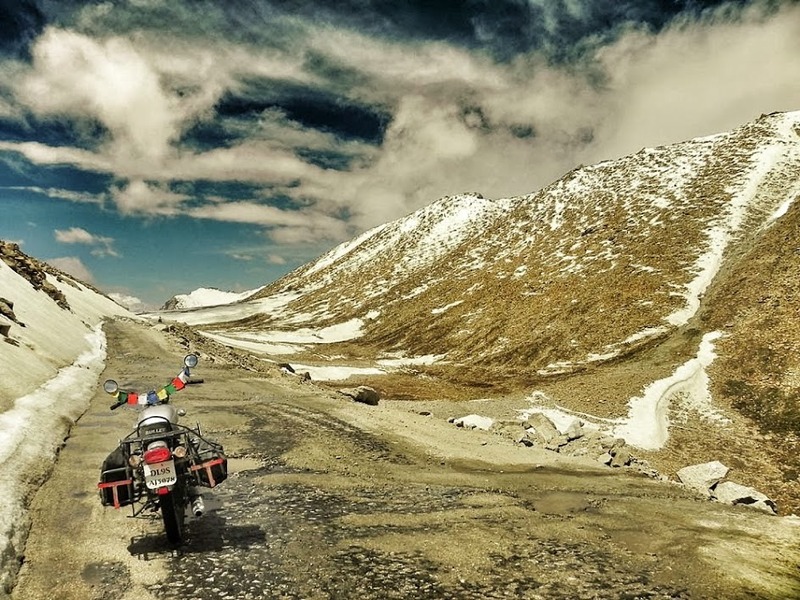 There are a score of high mountain passes including the tough Baralacha La and the second highest Taglang La along with the vast mesmerizing Morey Plains and the thrilling Gata Loops which is why motorcyclists - and even the four wheeler riders prefer Leh - Manali Highway for a road trip. What are the attractions you ask? Well the entire landscape of Ladakh is a sight to behold, the burnished mountainous terrain, sparse vegetation, snow capped mountains, the emerald Pangong Tso, Tso Moriri and Tso Kar and Hunder - also referred to as the desert in the sky - along with the magnificent monasteries in the sky are what makes Ladakh so special. Ladakh also has the power to bring out the pest of poet, thinker, writer and photographer in you. And if you are uncertain because Ladakh falls in the state of Jammu and Kashmir, know this that unlike the rest of J&K, Ladakh has seen almost no violence since India got Independence. And if you are a woman traveling alone in India considering the safety issue, rest assured that Ladakh is the safest place on the planet when its come to the safety and security of women. If you are planning to visit any other tourist place in India, do check out our post regarding Is India safe for women traveling alone. Where is the luxury you ask? Well there won't be a Leela Goa or Taj Lake Palace like luxury in Ladakh but the Grand Dragon in Leh offers a lavish stay. If you are heading to Pangong Tso or Nubra Valley, there are many luxury tents and deluxe accommodations with running hot water faciltity. Don't expect eclectic cuisines as you will be served basic Ladakhi cuisines if you are venturing out of Leh but then the sight of the emerald water of Pangong Lake bound by mountains and the desert safari in the double humped Bactrian camel at Hunder are once in a lifetime experience…and they more than suffice for a luxury suite or wholesome meal. The best time to visit Ladakh - especially if you are looking forward to motorcycle trip to Ladakh - is June and September. However Ladakh also happens to be the one of the top places to India to visit during monsoon as it seldom rains here. Luxe Recommendation: Hire a Royal Enfield either from Delhi or Manali and embark on an unforgettable motorcycle trip to Ladakh via Leh Manali Highway. Have at least 15 days up your sleeve. Enjoy an awe inspiring ride along the vast stretches of arid landscape, high mountain passes, vasr stretches of plain and sporadic signs of human settlements as you drive from Rohtang Pass towards Leh, the administrative center of Ladakh. For family and couples here's this ultimate Ladakh Holiday Package. Due to some restrictions and harsh climate, do refer to the travel essentials if you are planning a trip to Ladakh. Check out this Ladakh trip planner. One of the most unexplored and mystical places in India happen to be the North East region. Bound by the majestic Himalayas with the gushing Teesta River crisscrossing the entire stretch of the land, Sikkim in North East India is one of the best tourist places in India to uncover. The fact that it is relatively unexplored makes it all the more appealing for discerning travelers and one of the top destinations for summer holidays in India. There are myriad opportunities for all kind of travelers when it comes to things to do and places to visit in Sikkim. There are Buddhist Monasteries, cascading waterfalls, unexplored caves, gushing rapids, Himalayan trekking trails, high altitude lakes and lush valleys to be explored that makes Sikkim an ideal destination for family holidays, adventure trip and honeymoon tours in India. The picturesque valleys laden with over 200 species of orchids and rhododendron forests and relatively mild treks into pristine Himalayan ranges and the stunning Kanchendzonga makes Sikkim alluring as a popular honeymoon destination in India especially during Summer. At Ravangla where the only tea estate of Sikkim is located, honeymooners could found a blissful escape surrounded in shroud of greenery lorded over by the mighty Kunchendzonga peak. Day hikes in Sikkim in lush valleys of Himalayas are especially favored by the visitors on a family holiday. The easy to moderate hikes that could be undertaken even by elderly and children passes through bucolic surroundings and wooded hills dotted with rhododendron forests and giant magnolia trees punctuate the deep verdant cove. One of the top places to visit in Sikkim also includes Tsogmo Lake, a high altitude lake with towering Himalayas in the backdrop. The lake remains frozen during winters but one could still visit it and enjoy hot sip of tea and momos on the frozen lake. 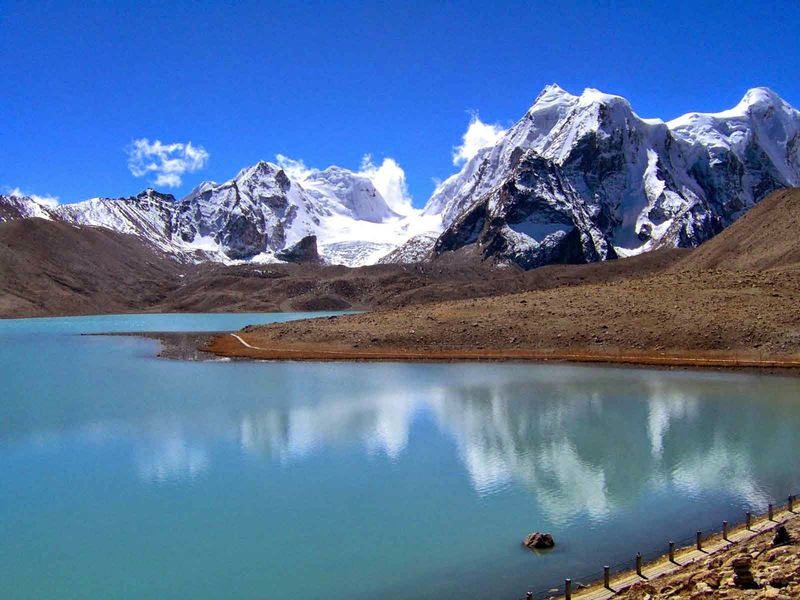 Yet another important lake to visit in Sikkim is the Gurudongmar Lake. Don't miss out on visiting Gurudwara Nanak Lama Sahib and nearby Buddhist shrine when you visit Gurudongmar Lake considered one of the holiest site in Sikkim. For adventure lover, rowing down the Teesta River in rapids varying from grade 1 to 4 offers an adrenaline pumping experience. For more pro rafters, the extreme rapids of Rangeet River that flows through Sikkim and Kalimpong offers challenging stretches of rapids. If you like to soar like an eagle, then visit Sikkim in the month of October and November which is the ideal time for paragliding in Sikkim. Bright sunny sky and favorable weather makes it ideal time for paragliding and it is also when the annual paragliding festival is held in Gangtok, capital city of Sikkim. For religious and cultural interactions, one could visit Rumtek Monastery, one of the most important centers of Tibetan Buddhism and a repository of ancient and medieval artifacts. Rumtek Monastery also happens to be the official seat of the Karmapa Lama. Yet another important place to study Tibetan Buddhism is the Namgyal Institute of Tibetology in Gangtok. Nestled amidst the lush rolling hills and valleys of the Western Ghats, Coorg is one of the most affluent hill stations in Karnataka offering unequaled luxurious holidays to tourists. Fondly referred to as the 'Scotland of India' and sometimes as 'Kashmir of the South' due to its verdant beauty and salubrious weather conditions, Coorg has a special place among all hill stations in India. Nestled at the altitude in the range of 3500 ft above sea level, the mountainous Kodagu (or Coorg) region is home to the Kodava people and Tibetan refugees. The natural majesty and lush environs of this hill station make it an ideal place for trekking, bird-watching and rejuvenation. If you are traveling here in April-May, then driving along the winding roads over hills offers spectacular vista as you drive past spice and coffee plantations recently bloomed into fragrant white blossoms. Located as it is in the Western Ghats, Coorg also offers trekking opportunities which vary from easy to moderate. 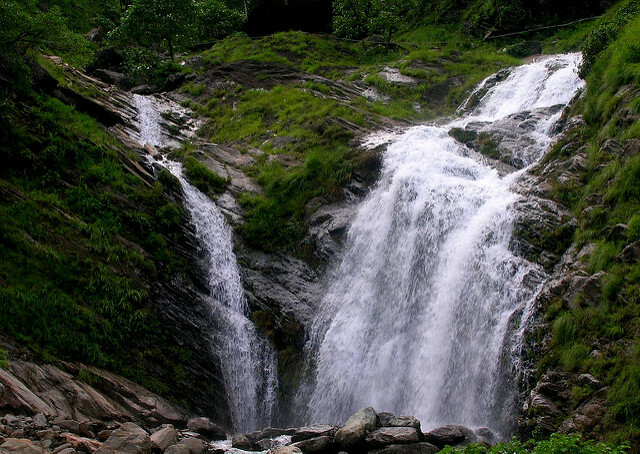 While trekking in Coorg, you may hire local guides who arrange for food and lodging. Other activity to let you indulge is golf with 3 golf courses which are located in Polibetta, Mercara and Coorg Golf Link in Bittangala. 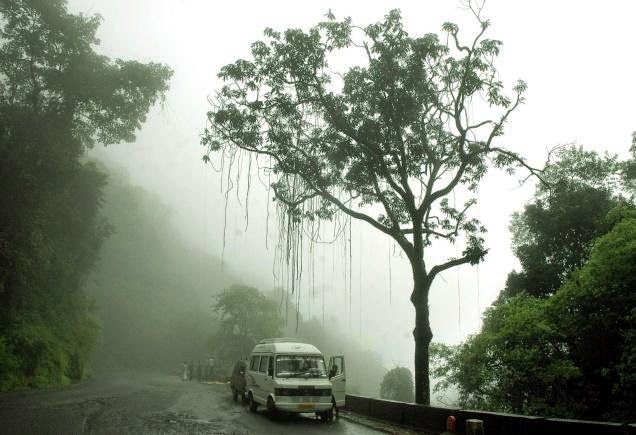 Best Time: Except for Monsoon (June to September), Coorg is best visited throughout the year. Maximum temperature seldom go beyond 30 degrees even during peak summer season. One of the most popular destinations for summer holidays in North India is Manali in Himachal Pradesh. Nestled amidst the Pir Panjal and Dauladhar range of Himalayas offering spectacular views, gurgling water streams and an array of mountain adventure makes Manali one of the finest all season tourist destinations in India. 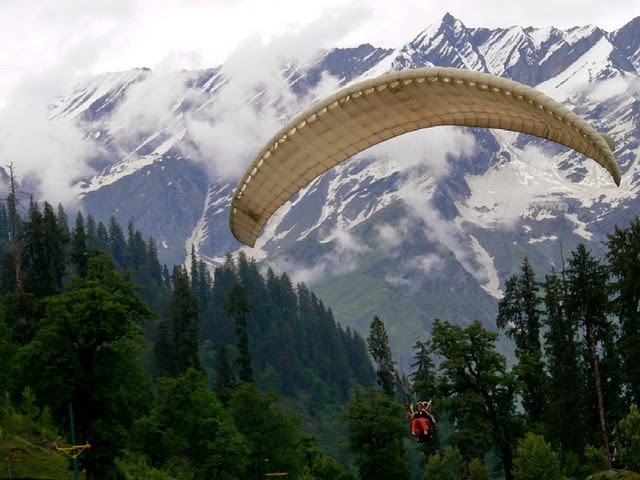 Whereas thrill seeker arrive in Manali to get high on adventure sports like paragliding, white water rafting, zorbing and trekking, honeymooners flock to have their first tryst with snow with day trips to Rohtang Pass. For backpackers it's the quaint, serene hippie towns in the outskirts - Malana being the most popular one - and for long term adventure seekers, it serves as base for gearing up and getting ready before venturing out to conquer the trans Himalayan terrains and undertake trekking and road trips to Leh, Spiti and beyond. For family holidays in summer, there are umpteen things to do in Manali that includes visit to religious places like Hidimba Temple, Tibetan Monasteries, Manu & Vashist Temple. Adventure activities like tandem paragliding and white water rafting in Beas River are also popular with families holidaying in Manali. Solang Valley is probably one of the most popular excursions from Manali offering a load of anventurous activities to youths, couples and families alike. Far from the maddening crowd of the New Manali Town, Solang Valley offers some of the finest and serene accommodation options to visitors. Yet another recommended place to visit in Manali is Vashist with its rustic setting and tranquil ambience. When to Visit: The best time to visit Manali is from April till October. Post October, it starts to get chilly and by December Manali receives its first snowfall. 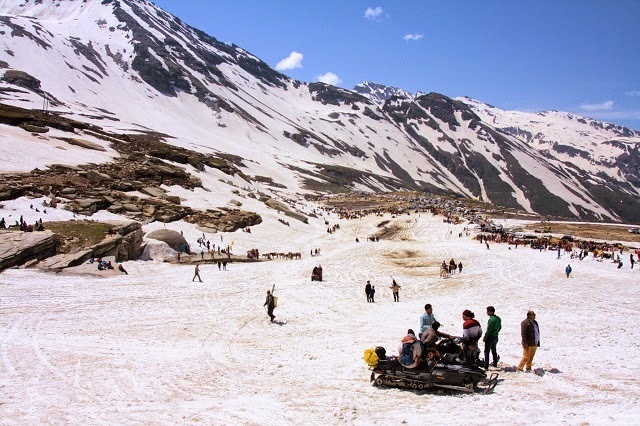 Rohtang Pass, Vashist become inaccessible during this time of the year. 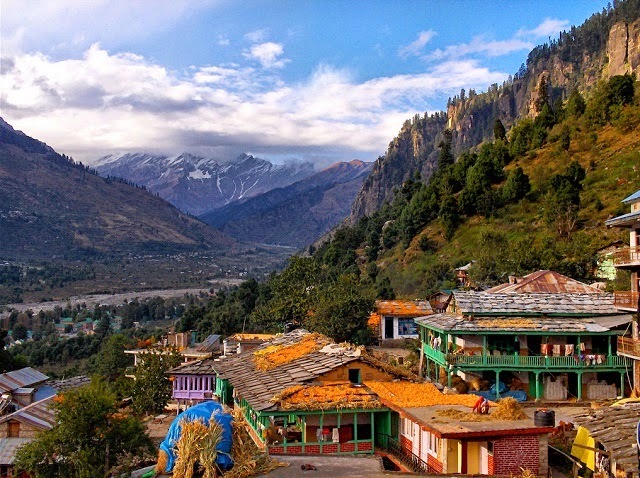 Where to stay: When it comes to accommodation, Manali has a wide variety of value for money hotels and resorts where you could stay. The best of the hotels and resorts are located in the outskirts of the city with excellent view of the mountain peak and lush countryside. However, staying in the outskirts could also mean that visitors may have difficulty arranging for taxi/cabs if they are not traveling on their own vehicle. Some of the recommended places to stay in and near Manali are the Manu Allaya Resort, Johnson Lodge and Snow Peak Retreat. Renowned as one of the most popular honeymoon destinations in India, Andaman group of Island consists of 52 islands out of which 36 are inhabited. Apart from the relaxed tropical ambiance, amazing diversity of corals and marine life what draws the tourist to Andaman is existence of the remnants of Stone Age culture and the colonial inheritance. Not long ago before India got independence, the freedom fighters were kept here in isolation in the Cellular Jail, now a museum and the place was notoriously referred to as "Kaala Pani" literally meaning black waters. Today this deep green tropical paradise is frequented by tourists from around the globe for this archipelago's rich and diverse wildlife, snorkeling and scuba diving opportunities and other water sports. The Andaman Islands are connected by ferries and flights from Chennai, Vizag and Kolkata. Well there are plenty of activities that you could undertake during your summer holiday in Andamans. For the starters there are Museums some remnants of British Raj and other more modern one. A light and Sound show, recounting the history of the infamous 'Kaala Paani' in the evening is a must thing to do in Port Blair which is the capital of Andaman Islands. Another not to miss activity in the Andamans is visit to Havelock and head to Radha Nagar Beach, one of the rare unspoiled and best beaches in India. Also voted "the best beach in Asia" by Time magazine Havelock Island is where the action is. 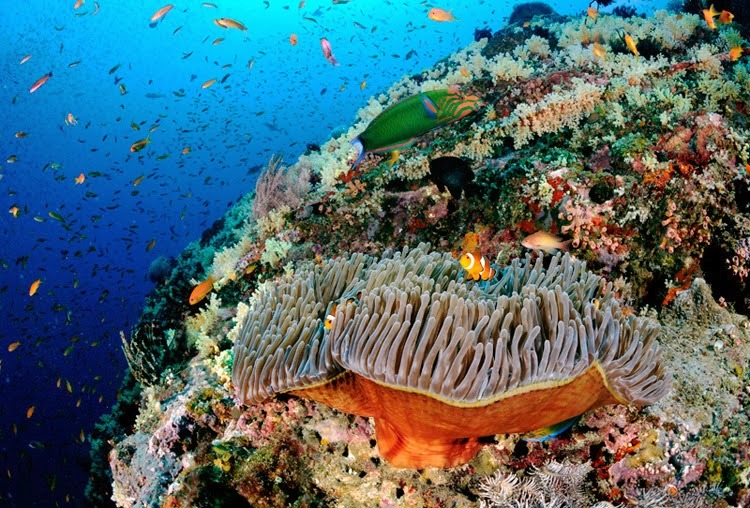 Most of the snorkeling, diving, Kayaking and scuba diving opportunities are available only in Havelock Island. Where's the luxury you ask? With rising popularity as one of the most romantic islands in the world, quite a few luxury resorts have come up to cater to the discerning travelers. There is no dearth of hotels in Port Blair and even Havelock has got one of the best and ecological beach resorts in India. If it is the romance that you seek, or tranquility that is your calling or if it's just relax & rejuvenation or adrenaline pumping activities like scuba diving, snorkeling and Kayaking, there's something for everyone at the Andaman Islands. When it comes to picking just one among the many favorites, Barefoot at Havelock is far ahead in the race when it comes to refined luxury. Located at Beach No 7 and winner of TripAdvisor's Travellers Choice Award 2014 in the Romance theme, this beach resort is perfect escape to relax, rejuvenate and commune with nature. If you are living here, the very best of hiking, trekking, birdwatching, diving and snorkeling is literally at your footstep. The only hassle you might find is the odd buzz of the wildlife during night and no network connection for your mobile/Wi-Fi. But then the whole point of escape to one of the most romantic places in the world is just that…to remain undiscovered by the vagaries of modern life and masses. Isn't it? And yes! don't forget to meet the swimming elephant Rajan during your stay. A list of summer destinations in India is never complete without the mention of the trio of Gulmarg, Srinagar and Pahalgam in Kashmir Valley. These 3 verdant paradises offer tranquil retreat and lots of sightseeing activities and nature walks which is a reason why they are one of the most popular honeymoon destinations in India. Whereas shikara rides and visits to magnificent Mughal Gardens are the most popular things to do in Srinagar; it is the gondola ride to Khilanmarg that is one of the top things to do in Gulmarg. 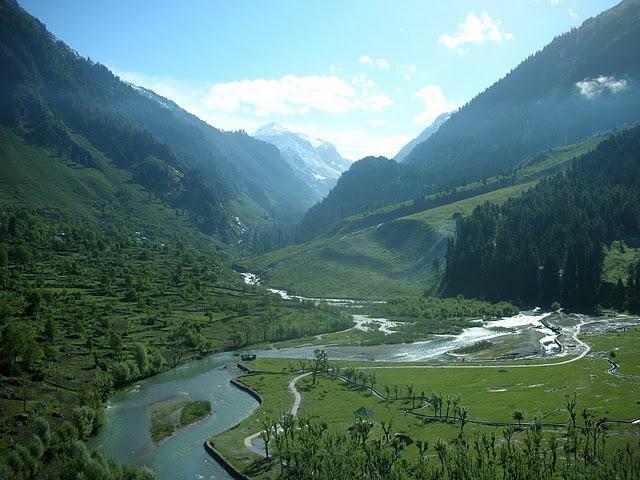 Pahalgam is all about bounties of nature. There is the Betab Valley named after the movie Betaab which was filmed here, nearby is the picturesque Aru Valley where the recent blockbusters Jab Tak Hai Jaan featuring Shahrukh Khan and Highway featuring Alia Bhatt was filmed. With one of the most popular tourist destinations in India since decades and a favorite among the Bollywood for shooting of movies, Kashmir boasts of very good infrastructure when it comes to tourism. Several prestigious hotel groups have their properties in Srinagar and Pahalgam wheras the all new swanky Khyber Himalayan Resort and Spa in Gulmarg is already winning accolades from the connoisseurs of luxury. Well not exactly in India but still it could be reached by road only from India and the fact that Indian National do not need to pay $250 daily tourism fee or get the visa, we couldn't resist but add this as one of the best places for summer holidays in India. Even if you are a foreign national, you would love to read on! 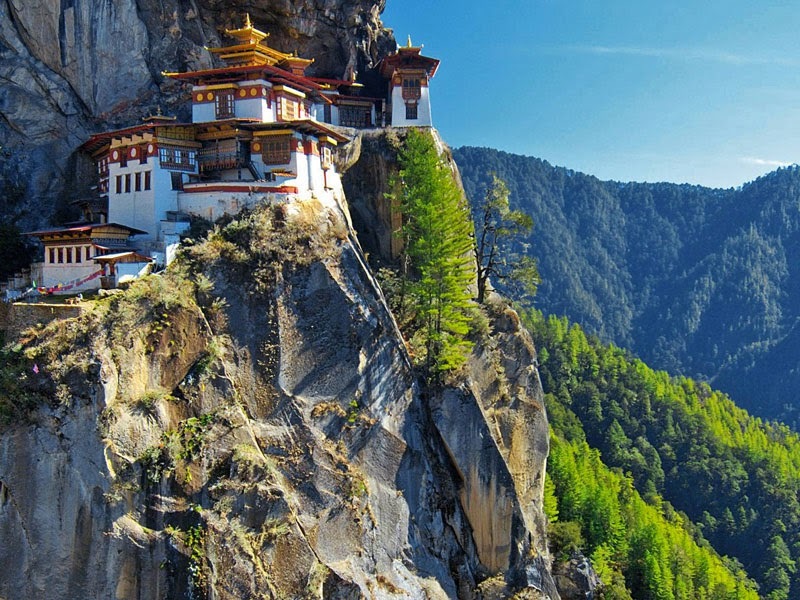 Wedged between India and China, Bhutan is remote and pristine destination where the ancient Buddhist tradition is still preserved. Held separate by the formidable mountains, this Himalayan Kingdom also referred to as the 'last Shangri La' is perhaps the only country where developed is measured not by GDP but Gross Domestic Happiness. 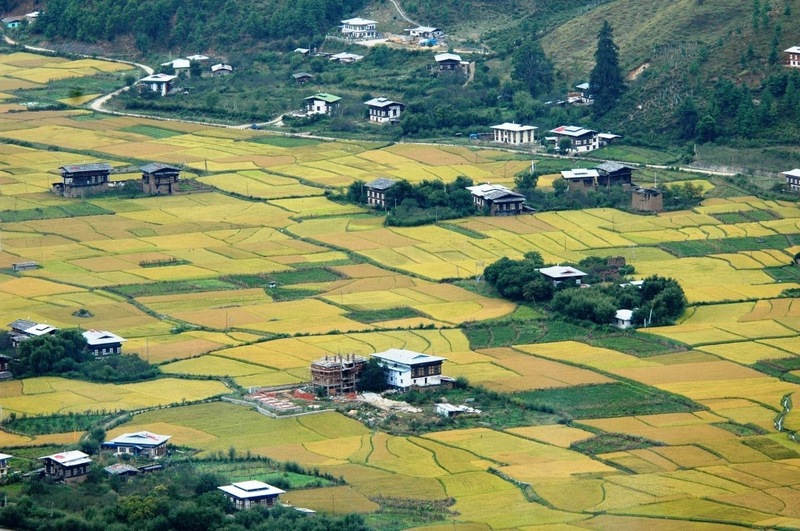 Druk Yul, 'the land of thunder dragon' as it is locally referred to, the essence of Bhutan lies in its traditions, Buddhist culture, unspoiled landscapes and absence of 'crowd' tourism. It is also one of few last places in the world where Tantric Tibetan Buddhism, with temples of florid and lamas in maroon robes chanting to ancient instruments still survives intact. Tourism in Bhutan is strictly regulated with government's emphasis on "High Value, Low Impact Tourism." There's a hefty daily package for tourist (except from India, Bangladesh and Maldives) and the tourist visas must be initialized by a government authorized tour operator in Bhutan. One of the positive impacts of tourism policy of this Himalayan Kingdom is the visitor's ability to plan tailor made their tour to Bhutan. Tour themes in Bhutan could be easily segregated as 1) history and culture, 2) trekking or 3) nature tours in the most protected and pristine surroundings in the Himalayas. Must visit places for a complete cultural experience of Bhutan are Punakha, Thimpu, Dochu La Pass, Gangtey, Wangdi Phodrang, Trongsa and spectacular Dzongs &monasteries. Combining the sanskrit word for peace (Aman) with the Dzongkha word for circumambulation (Kora), Amankora is was the first foreign brand allowed to build hotels in Bhutan. The group has chains of luxury lodges across this Himalayan kingdom. For the ultimate spiritual and fine travel experience, go for the all-inclusive Amankora Journey that could be tailor-made. It is known as the birth place of Yoga, the phenomenon that has caught the attention of people's imagination around the world. 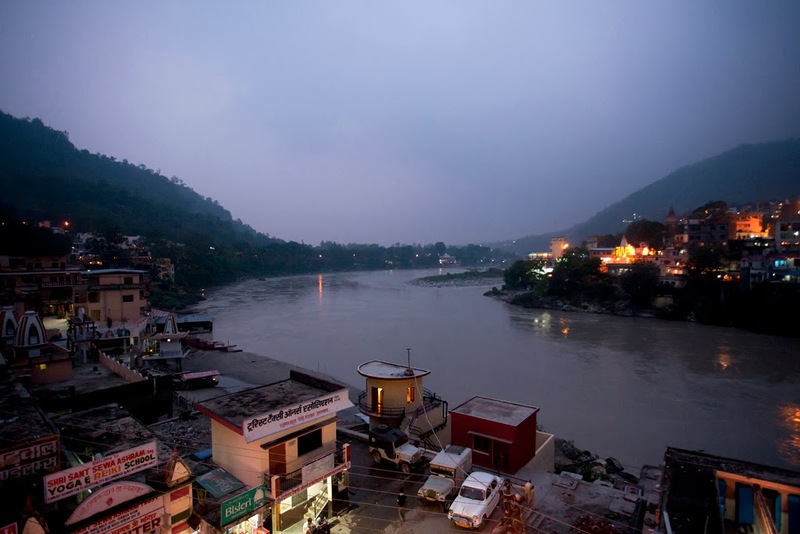 Rishikesh is Uttarakhand is the hub for Yoga and meditation in India. It burst into limelight after the Beatles arrived at the ashram of the Maharishi Mahesh Yogi in their quest for nirvana and bliss in the late '60s; Rishikesh has been a lure for seekers of spirituality with its numerous yoga centers, ashrams and temples. Rishikesh is often referred to as the World Capital of Yoga owing to its global renowned among seekers of peace and contemplation. It is believed that meditation and a dip in the holy water of river Ganges in Rishikesh brings one closer to attainment of salvation. Notwithstanding its acclaim as a place for tranquility and meditation, Rishikesh has emerged as one of the popular adventure tour destinations in India. There are numerous adventure activities like white water rafting, bungee jumping and mountain hiking to offer the adrenaline rush to the visitors. Rafting from Shivpuri to Rishikesh is quite popular among the thrill seekers. Camping options are also available and it is very much possible to undertake this adventure from Delhi even during short weekend breaks. However, the fact that Rishikesh is considered a holy city by Hindus, it is vegetarian by law and even alcohol are not sold. But there are numerous joints offering Ayurvedic cuisines & teas and vegetarian delicacies. Visitors could also try the German Bakery (near Laxman Jhula) or the Chotiwaala Restaurant (near the Ram Jhula) for gourmet cuisines and snacks. Not far away from the bustle of this yoga town is Narendranagar, home to India's first destination Spa. Ananda in Himalayas, with its Victorian Balustrades and Mughal archways is a fine specimen of Indo-Islamic Architecture. Nestled at an altitude of 3,300 feet 180 kilometers away from Delhi, this sprawling 100 acres spa is a veritable oasis, an escape from the heat, dust and din of the bustling megalopolis. The awe inspiring views of the undulating Himalaya, the ancient town of Rishikesh and the meandering Ganges only heighten the delight of luxurious stay in this once Viceregal Palace and abode of the Maharaja of Narendranagar. It was not an exaggeration then when Celia W. Dugger of the Times described Ananda in the Himalayas as offering "austere luxury for the sybarite, hiking, squash and rafting for the athlete and yoga, meditation and Ayurvedic massage therapies - among many other treatments - for the stressed out." Try out one of the therapeutic massages or spa session at this sprawling resort or just take a break from the teeming city life and enjoy bliss in natural surroundings with some yoga session at Ananda in the Himalayas. Care for rejuvenation, meditation and a little hedonism? Plan your luxury holiday at Ananda in the Himalayas. One of the least populated towns in Arunachal Pradesh, Tawang is one of the most sought –after destinations in summer in India ideally visited in May and June before the arrival of Monsoon or after late September and in October. 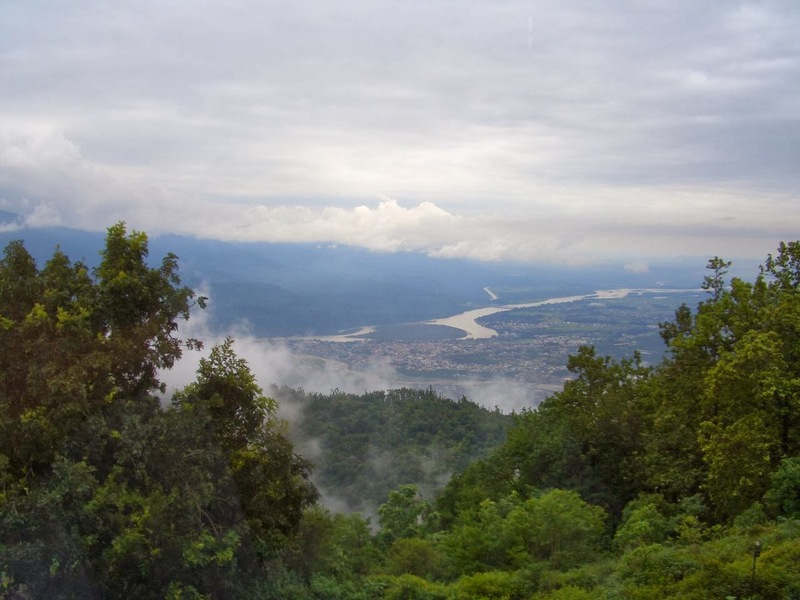 It is located in the westernmost district of Arunachal Pradesh and shares its borders with Assam. It is a perfect retreat from the hustle-bustle and the scorching heat of summer. The need for weather change is one of the most motivating reasons to plan a trip to Tawang. The reason behind Tawang's popularity as a summer retreat is its positioning at the altitude of about 10,000 feet above sea level which accounts for its pleasant weather. This region is quite famous for the imposing 14th century Tawang Monastery. It was built at the will of 5th Dalai Lama 'Merag Lama Lodre Gyamtso' and belongs to Mahayana sect of Buddhism. Another major attraction of Tawang is the Tipi Orchid Sanctuary which houses thousands of varieties of orchids. Sela Top Pass, which remains covered with snow throughout the year, is the major route to get to Tawang. Fairs & festivals: The most celebrated festival of Tawang is 'The Losar', the famous Tibetan Buddhist festival, which took place in the months of February/March. Travel Tips: Tawang is a restricted area. Foreign nationals need inner line permits to visit this hill station and permits are available from major cities such as Delhi, Guwahati and Kolkata. Souvenir/Shopping: One can purchase local and traditional handicrafts for taking back home as souvenir. Best time to visit Tawang is from April till October. Be prepared for incessant rains if you are traveling here after the arrival of monsoon in India. If you are planning to visit North East here's a few packages with Gangtok and Darjeeling as base to help you plan your vacation in this pristine region. Established as a retreat from the scorching heat of summer by British in then Madras, Ooty is still pervaded by a distinct colonial charm. The ride to this tiny hamlet of Raj era countryside in India is on a toy train (The Nilgiris Mountain Railways) which recreates the romance of bygone century, the scenery is stunning and its best if you have managed to get seat on the left-hand side. After that, it's a visual delight, with pretty cottages, bijou fenced flower gardens, lush surroundings, thatched-roof churches and terraced botanical gardens. 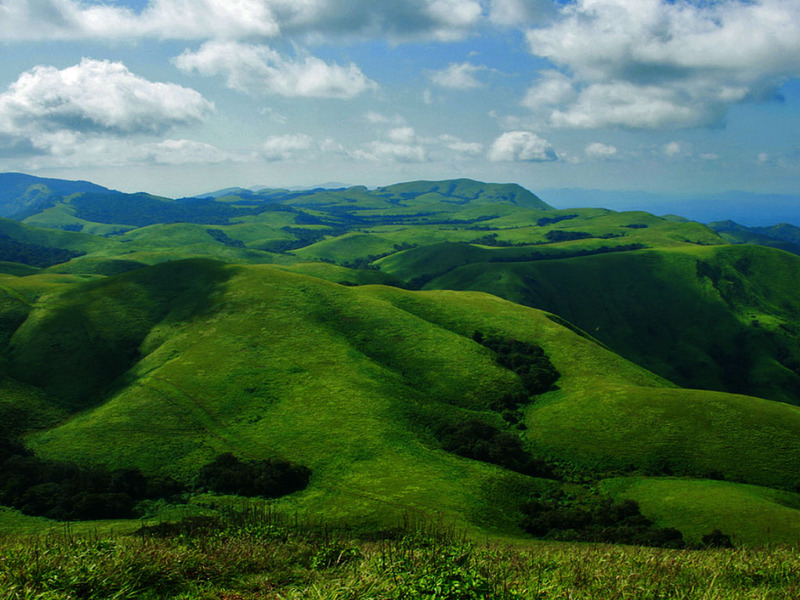 The charming little hill station Ooty is best for languid stupor. Although the urbanization and popularity of this place has taken its toll, you just need to venture a few kilometers out to find yourself amidst the peace of hills, an almost Shakespearean pastoral refuge. Activities here include visiting various sunset points, botanical gardens, tea plantations, lakes and various waterfalls. Doddabetta Peak, Tiger Hill and Ooty Lake are most popular attractions here. Best time: Ooty is a welcome relief from October till June which makes it one of the most evergreen hill stations in India which could be visited throughout the year. Luxe Recommendation: Try the tastefully pre-packaged tour to South India to discover, culture, heritage and royalty along with visit to Ooty to reclaim yourself. Things changed dramatically for Shimla when the Scottish civil servant Charles Kennedy built his summer home in Shimla in 1822. When the British arrived here there was nothing but wilderness and climate and surroundings which reminded them of their home, Shimla was soon developed into the official summer capital of the Raj in 1864. It is now one of the top tourist places to visit in Himachal Pradesh. Every summer till the last years of Raj, the entire East India Company and the government took refuge from sweltering heat of Delhi in cool and lush environs of Shimla. Construction of the Kalka–Shimla narrow gauge (now toy train) in 1903 cemented Shimla's status as one of the leading hill stations of India. Best Time: Shimla is best visited from October to June. In the summer, one could see rolling cotton wool peaks and during winter, you could frolic in snow and enjoy an array of snow sport and adventure activity. Shimla also happens to be one of the most popular places for honeymoon in India. Luxe Recommendation: Stay at Wildflowers Hall in Shimla and indulge in Ayurvedic massages and spa therapies even as this premium Oberoi property offer impeccable service and spectacular views of the lush valleys and jagged mountain peaks. Mahabaleshwar is perched atop a height of 1372 meters above sea level in Satara district, around 115 kilometers southwest of Pune. 25 in numbers, the 'Points' in Mahabaleshwar will give you breathtaking views of the mountains and valleys from different angle. In old days, Mahabaleshwar was known as Malcolm Peth and was under the influence of the foreign hands in the development of this hilly resort. Apart from that its princely past is reflected in the colonial mansions and palatial buildings that remind the visitor about the richness of artistic caliber of the bygone generation. Known as Malcolm Peth in past, this hill station in Maharashtra will remind you of its glorious past with its colonial buildings, resplendent mansions. As the base of five lovely rivers, the scenic beauty of Mahabaleshwar presents awesome vistas, which enthralls the tourists. It is picturesque hill resort nestled in the lap of sky-scrapping mountain ranges of the Western Ghats. It offers a mesmerizing view of the soaring peaks, lush valleys, sparkling rivers and verdant forests. Mahabaleshwar offers a rejuvenating ambiance where you can savor charming views of nature at its blooming best. There are many things to do in Mahabaleshwar such as boating, horse riding, trekking and sunrise & sunset watching. Other than this, one can roam around the bazaars for shopping. Best time: Mahabaleshwar is open for tourists throughout the year. However, April to June is considered the best time to visit this scenic hill town during summer. Many also prefer to visit this tourist destination in July to soak in the natural beauty upon the monsoon's arrival. If your passion is to enjoy the sizzles of nature in relaxed surroundings, Mahabaleshwar is where you should head to. Nestled on the precipice of a mountain ridge and bounded by verdant plantations of globally renowned teas, Darjeeling is so not West Bengal. 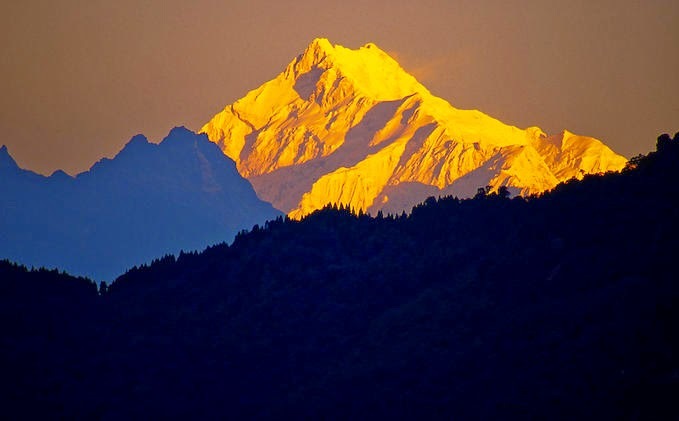 With jagged peaks of magnificent Himalayas offering spectacular panorama - you could even see the peak of Mount Kanchendzonga - Darjeeling is the place to be to savor unruffled luxury and to rejuvenate your senses. You could also take Darjeeling Mountain Rail (one of the popular "Toy Trains of India") to explore and soak in the magnificent surroundings of this scenic hill station in India. June is ideal month to plan your trip to avoid summer's scorching heat. As with most other hill stations in India which were the playgrounds of erstwhile British rulers during Raj, you could find colonial mansions and churches as well as recent structures such as Buddhist and Hindu temples and botanical gardens. The steep narrow streets are crowded with colorful souvenir and handicraft shops and a good steaming brew and excellent Indian and Tibetan fare are never far away. You could also choose from exciting trekking trails which trace ancient trade routes not to mention the breathtaking sights. Best Time: Most tourists visit after the monsoon (October and November) and during spring (mid-March to the end of May) when skies are dry, panoramas are clear and temperatures are pleasant. Luxe Recommendation: Glenburn Tea Estate is a awe inspiring refuge in calm and unruffled luxury amidst the rapidly urbanizing Darjeeling Town. This estate is a 150 year old plantation house with its old world charm and offers awesome panorama of Mount Kanchendzonga. Blessed with beautiful scenery, Pachmarchi is one of the most panoramic and lush hill stations in Madhya Pradesh. Bounded by the Satpura ranges, this enchanting hill retreat is an ideal location to spend a peaceful vacation in the lap of nature. Visited by tourists all around the year, Panchmarhi has a number of hotels and resorts, offering a comfortable stay. Some of the major tourist attractions in Pachmarhi worth-visiting are Bee Fall, Rajat Prapat, Dhoot Akhilesh, Gupt Mahadev, Dhupgarh, Apsara Falls, Handi Khoh and Chauragarh. The thick forests in Mahadeo Hill house a number of cave shelters, pure man-made wonders, which are probably 10,000 years old. This enchanting hill town has an absolutely calm feel. Kodaikanal, also known as Kodai, is a popular holiday as well as honeymoon destination in the South Indian state of Tamil Nadu. 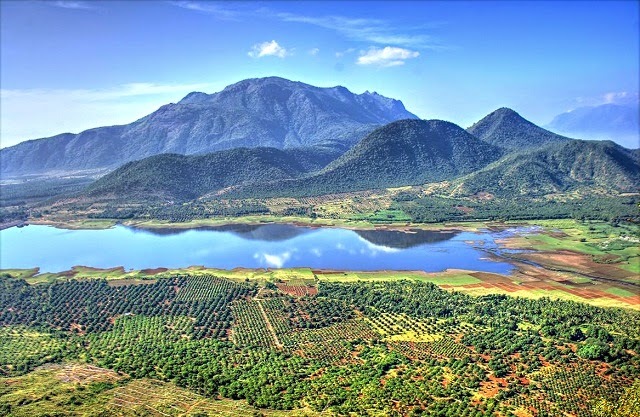 Placed at an above sea level of 7200 feet above the sea level, Kodaikanal lies in Palani Hills of the Western Ghats. Slightly foggy and pleasant weather, meandering roads, lush forests and verdant hills of this hill town are some of the prime attraction of this hill retreat, which is quite close to Madurai. 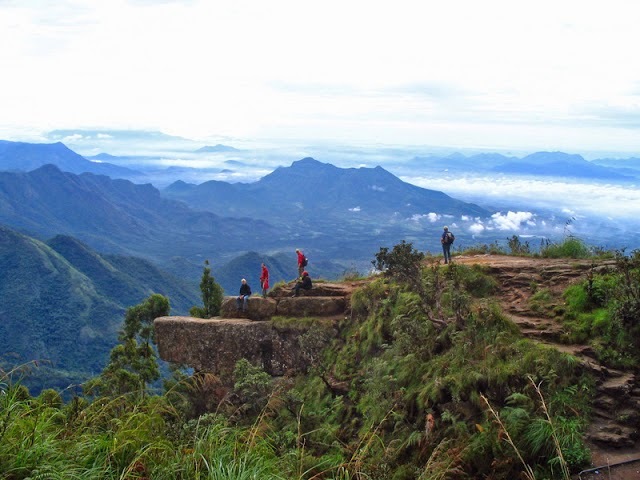 A destination worth visiting during any time of year, Kodaikanal offers opportunities for sightseeing including waterfalls and viewpoints, cycling, leisure walks, nature walks boating and horse riding. 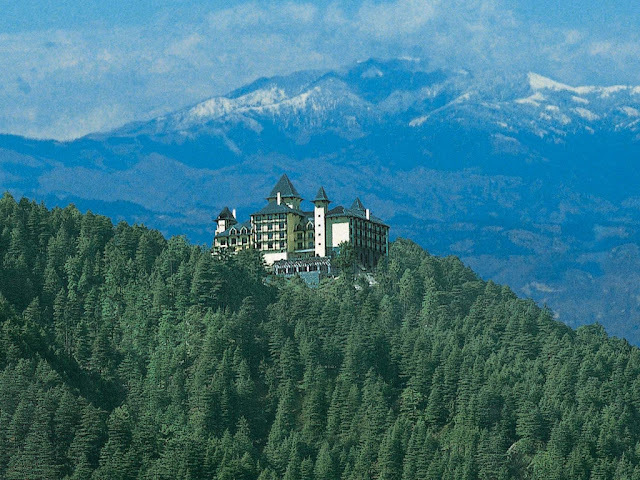 Visit this beautiful place, called the 'Princess of Hill Stations' and soak-in the serenity. Lying amidst verdant Western Ghats, Wayanad is one of the most captivating hill town of Kerala that is also called the 'Green Paradise' as it shares borders with the greener patches of the state. 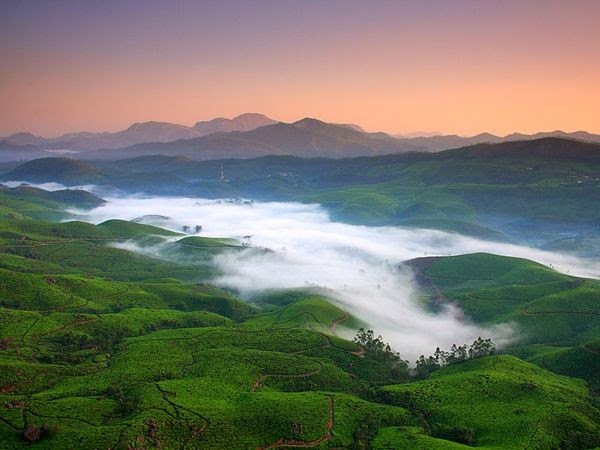 Lush agriculture fields, thick forests and misty hills of Kerala add to its scenic charm. The place gets its name from Vayal Nadu, where Vayal means paddy fields and Nadu meaning the land, which makes Wayanad a land of paddy fields. Wayanad bird sanctuary is one of the main attractions, blessed with rich flora and fauna, quite popular amidst bird watching enthusiasts. Soak-in the aroma of tea, coffee, vanilla, cardamom and pepper, while talking a leisure walk. Chembra Peak, Neelima, Meenmutty waterfalls, Chethalayam, Pakshipathalam, Banasura Sagar Dam are the other tourist attractions. The capital city of the north-eastern state of Meghalaya, Shillong is the only station in India which is accessible from all the sides. Bounded by East Khasi Hills, this pristine holiday retreat offers retreat from the daily hustle-bustle of the city. Lying at an elevation of 1491 meters above the sea level, Shillong derives its name from U-Shyllong, the worshiped deity. This nature's paradise has been blessed with an amazing setting of rolling hills with pine trees with waterfalls, superb climate and more. When in Shillong, visit Bishop Falls, Umiam Lake, Police Bazar, Beadon Falls, Don Bosco Museum, Spread Eagle Falls, Lady Hydari Park, Golf Course, Mawsynram, Elephant Falls, Sweet Falls and Shillong Peak are major crowd pullers. The educational hub of the north-east is a must-visit because of its serene ambiance. Stunningly mesmerizing, Munnar is a heavenly tourist destination in Kerala, blessed with tranquility, a nice weather, various tourist attractions and splendid scenery. Nestled at an elevation of 6000 feet above the sea level in Idukki district, Munnar was also popular during the British era as a summer resort. Away from regular city chaos, Munnar lies amidst the lush Western Ghats and is known to be the confluence of the three rivers Kundaly, Madhurapuzha and Nallathanni. 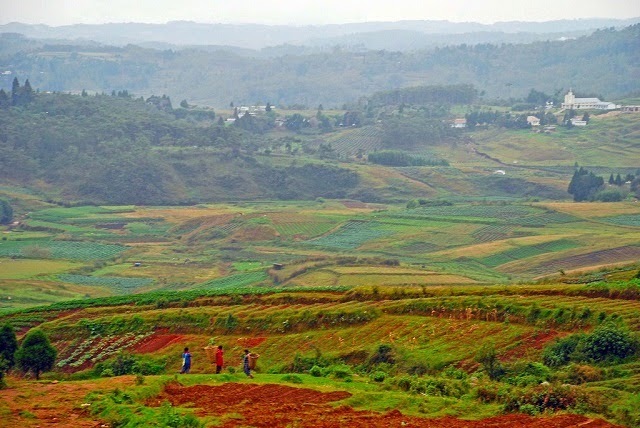 The expansive tea plantations, verdant mountains, extensive spice and tea plantations, various tourist spots, aroma-filled air and picturesque locations attract tourists from all around the globe. Munnar is also quite popular amidst adventure enthusiasts and offer opportunities for trekking, cycling, mountaineering, boating, elephant rides, fishing and so on. Eravikulam National Park, Anamudi Peak, Mattupetty, Tea Museum, Helicopter tours, Horseback riding, visit to top station are some of the other popular attractions here. The second largest hill station in the Nilgiris, Coonoor is a mesmerizing summer destination, placed at an above sea level of 1839 m. Enclosed by aromatic lush tea plantations; Coonoor is a famed weekend getaway from nearby places like Coimbatore and Ooty. This tiny tea garden town has been blessed with a pleasant weather that remains all through the year. Bird watching is a popular activity here where you can spot beautiful and colorful local as well as migratory birds. A calm and serene hill town, its markets sell good-quality shawls, handmade antiques and Indian handlooms. Sim's Park, Dolphin Nose Viewpoint, Lamb's Rock, Pomological Station and Katary Falls are some of the prime attractions here. With the honor of being the lone hill station in Rajasthan, Mount Abu attracts pretty handsome amount of tourists from adjoining states particularly bordering Gujarat as well as international visitors. Offering welcome respite from the otherwise scorching summer that swelter Rajasthan as well as neighboring Delhi and Gujarat, Mount Abu becomes one of the best places to go for summer holidays in India as well as one of the hot favorites for honeymoon in North-West India. Perched atop granite peak and surrounded by the lush Mount Abu Wildlife Sanctuary, this hill town in Rajasthan is an important religious place for both Hindus and Jains. With home to over 80 exquisitely carved temples, most striking of which are the Jain Temples at Delwara - some of which are built over a 1000 years ago, Mount Abu sees constant flow of pilgrims throughout the year. 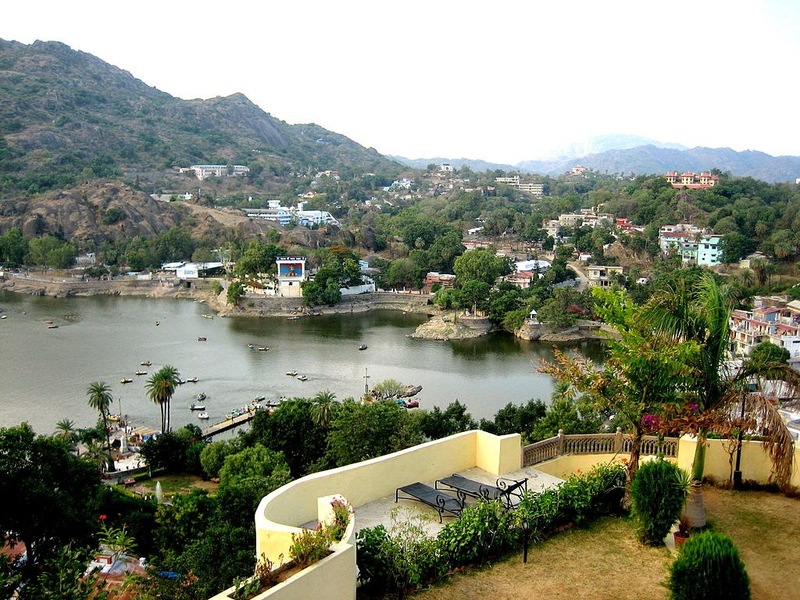 The center of activity in Mount Abu is the Nakki Lake, a place for lazing around with carved stones and boating activities. The other major draw is Dilwara Temples, which definitely rate as some of the finest specimen of temple architecture in India. The best time to visit this hill station in India for summer holidays is in April - May. The town get pretty bust as the June approaches due to the summer festival that is celebrated here annually from mid-May to mid-June. Away from the crowded corners in Uttarakhand lies a paradise which has successfully maintained its charm and freshness. Determined to offer a unique Himalayan experience, Auli in the remote sections of the state throws its captivating effect in both the major seasons of the year. The dismal white of the cold being turned into the lively shades of green on the lowlands and with the majestic snow-capped mountains always standing on guard; a stunning contrast grasps the onlooker. During summers, fresh life starts to ripen at Auli, which flows through forests of oak and deodar. Not to forget the apple orchards, naturally settled on various nature trails going from the insides of the valley. Such abundance of forestry and floral beauty makes Auli one of the best for trekking and camping during summers. Professionals of this sport agree with this. 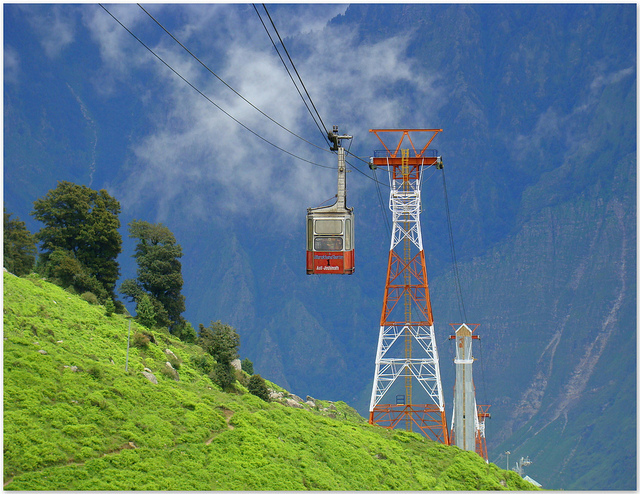 Therefore Auli never fails to witness a huge chunk of adventure lovers at the start of summers every year. Rough in its senses but truly a traveler's paradise; Auli not only boasts of adrenaline pumping action (rock climbing, waterfall rappelling) but it has a softer side that talks about pleasing your nerves with the spectacular sights of the surrounding Nanga Parbat, Nikanth Hathi Parbat and Mt. Nanda Devi making it difficult for us not to include it in our list of the finest places for summer holidays in India.. If the adventurer inside you wishes to enjoy the rough and cold terrains of the real Himalayas, you need not go as high as Ladakh but settle your plans for one of the valleys in Himachal Pradesh. It's the Spiti valley, a desert mountain valley in the north-eastern part of the state, which can be termed as a sister concern of the remote Ladakh. Some travel experts consider Spiti even more remote and rough than its northern counterpart. Being largely linked to Ladakh, it also the share the same limitations of heavy snowfall in winters. This is why we suggest this gut wrenching yet panoramic beauty of the Himalayas for the summers. Trekking, rock climbing, river rafting! You name it and the sport would be ready for you in a whimper. Apart from all the adventure sports, what separates this barren valley from the rest in Himachal is its propensity to Tibetan Buddhism. Even the great Dalai Lama could not stop himself to choose his favorites; Ki monastery and Tabo monastery. These two are one of the oldest monasteries in the world. 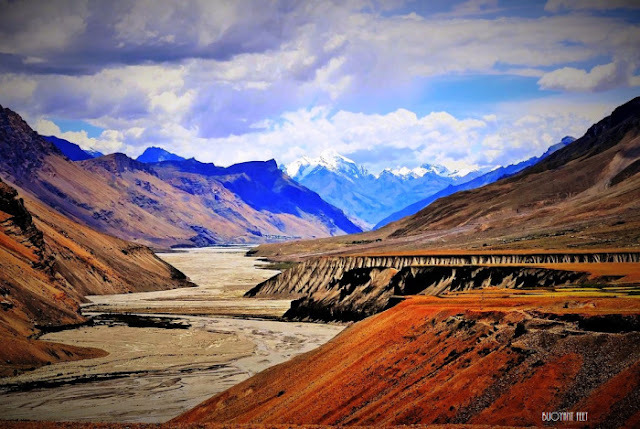 The stark landscape, high mountain passes, sparse population and awe inspiring scenery encountered on the road that traverses through Spiti Valley makes it one of the top places for road trips in India and a popular route that 1000s of bikers look to conquer each year. If you are one of those daredevils looking for the thrill of Himalayan road ride and to witness the spectacular beauty of Spiti Valley, check out these Spiti by Motorcycle Tour Package. Gulmarg in the Pir Panjal range of the Himalayas sports snow-capped mountains in every direction, landscapes that are brightly lush like that of South India and flowery meadows and pine slopes that are simply breathtaking. Such an introduction of this hill station goes on all year round. However, the onset of summers in this part of the Himalayas portrays a slightly different picture of it. The trademark milky snowy carpet of Gulmarg gets worn off, leaving pastures and virgin forests bloom in their best form. As all its spots get completely accessible during this time of the year, trekking becomes the order of the day for thousands flocking to Gulmarg. Pir Panjal, being situated around a towering height of 13,000 m offers various trekking routes that go through dense forests and merge into various mountain peaks. Can be a little exhausting for amateur trekkers, but that seem to completely whoosh away as you will reach the end of your climb. The sight of Nanga Parbat at frequent intervals of the trek add to the pleasantries. Trek to the peak of Apharwat and Ferozpur Nala are among the most opted ones. Contrary to its Himalayan rocky appeal, the hill station goes flat at some places. By this we mean a state of the art golf course that gets operational only in the summers. It sprawls over an area of 7500 yards and is the world's second highest golf course. Himachal Pradesh's most irresistible destination; a second home of mountain lovers, mostly foreigners, Dharamsala shines in the lights of spirituality enveloped in a Tibetan mist. Being the land of Dalai Lama and his entourage, the region has religion prospered in this floundering Himalayan topography; much to lure foreign celebrities (Uma Thurman and Richard Gere) to seek solace in Buddhist traditions. For casual travelers like us, who love hill stations purposefully for its alluring beauty, the place is best to be visited at the setting up of summers. During this time the weather gets highly pleasing with a slight chill. It is not just for anything that the British named Dharamsala the summer capital of India. The place offers numerous possible hikes for the urban dwellers; giving first hand experiences of the blissful Himalayan nature. Soul searchers can stick to the town longer than the usual. The place is a major center of yoga, meditation and spiritual retreats in Buddhist and Hindu traditions. During breaks, devote some solitary time in the Tibetan monasteries. The very famous St John in the Wilderness church is also a good option. A summer trip to Dharamsala must be scheduled during the late spring and early summer as the region is destined to receive torrential rains in the after months. 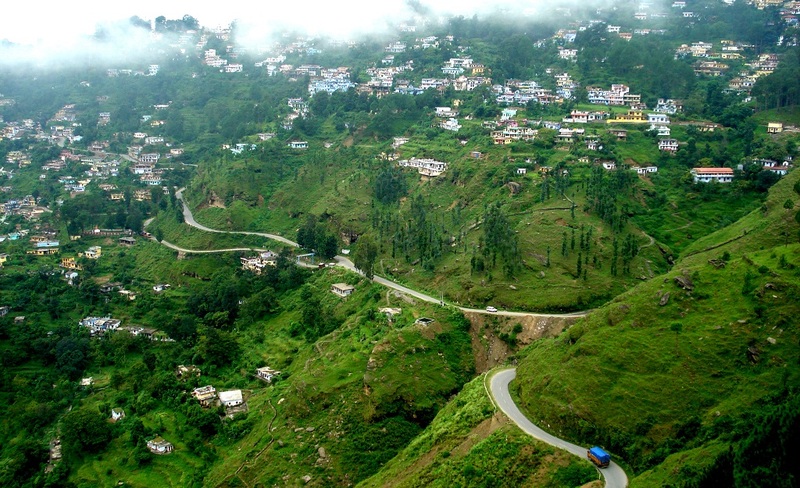 Mussorie in the state of Uttarakhand is called as the queen of hills. Fair enough for a region which like an authority welcomes the first glimpses of the snow covered Himalayan trenches for travelers running to escape the city heat of the summers. Particularly for the ones traveling from Delhi; being the closest hill station to the capital. The urban side of the Queen sports a vintage appeal that is reminiscent of the affairs of the British prevailed here long time back. The central part of the town is dominated by the Kulri Bazaar, Gandhi Chowk and Picture Palace. Usually it stays buzzing and lively. If not that, sneak out of town and head to the Kempty falls for a quaint picnic time with family and friends. Other options; excursions to be clear, include that to Lal Tibba, Gun Hill and Jwalaji temple. The Tibetan settlement of Happy Valley is also a fine spot amidst the oak and deodars within the town. 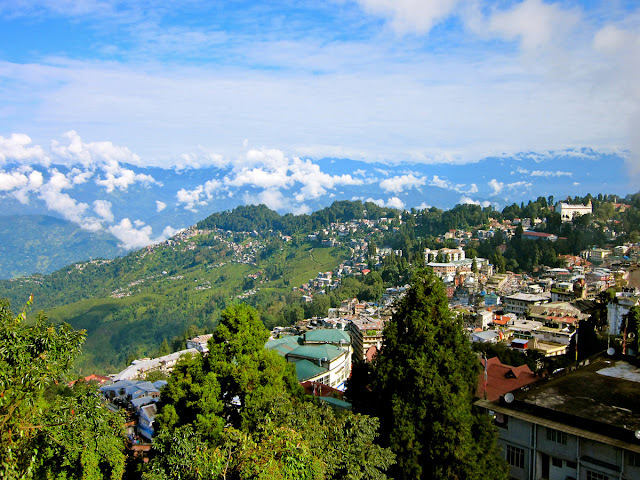 Just like its brother Darjeeling, Kalimpong in the state of West Bengal becomes a true paradise during the time of summers. For a traveler, the town has trails leading to platforms, catching the perfect sight of Mount Kanchenjunga. However an adventurer will make the best of it by flying from that platform and scaling the verdant valleys just like a free bird. Yes, you can relish your love for paragliding the most during this time of the year. The valley has just got fresh from a freezing spell of winters; lively and lush in the colors of nature. Crisscrossing different fragments of the nature of Kalimpong, Paragliding seems the ultimate fun. On making the touch down, proceed to some more fun in the lifeline of the hill station; Teesta river. The rapids here during summers are for all tastes; barely a splash to seriously big. For peace dwellers, bird watching and fishing are the best options as they have found a new definition in this high altitude destination. The fact that makes Kalimpong a perfect place to visit in India in summers also lies in its religious quotient. The town is beautifully studded with colorful Buddhist monasteries, churches and temples which get adorned by the magical green engulfing the region. If you will climb down the Himalayan hills and pay some heed to those of the Satpura (Central India), then also you are on the bright side. Here we are talking about the only hill station of Madhya Pradesh; Pachmarhi. Situated at a decent height of 1100 meter in the Satpura range of hills, Pachmarhi has its surroundings in the green and clean, despite having a large military presence in the vicinity. Tourism here mainly talks about rock paintings, pre-historic caves, lofty peaks, forest gorges and stunning waterfalls. Satpura Tiger Reserve, Handi Khoh, Dhoopgarh, Bison Lodge, Reech Garh, Irene Pool, Rajendra Giri to name a few. All these natural attractions require getting into the adventure gear and hike through the lushes of the region. In the pre independence times, the hill station got flocked or one can say "introduced" to the western world by one fine fellow of the British army. Owing to this, the human settlements here sport a colonial ambience. 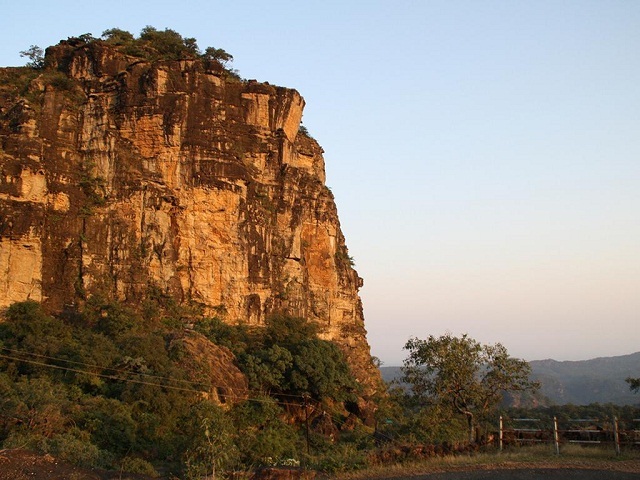 Pachmarhi, having located in the central latitude of the country, is prone to warm weather conditions. Thus, if this hill station amazed you for the coming summers, make sure you schedule the trip in the early months of the season. Uttarakhand is famous for many summer destinations in India owing to the Himalayan biodiversity. One of them is Almora. Clinged to a horse shoe shaped ridge in the Kumaon hills of the state, it is one of the few places that is still left untouched by rampant tourism and that is what makes it such a special summer destination in North India. The sleepy little town of Almora is where the poets, writers and those seeking solitude and time for reflection and rejuvenation in the lap of mother earth head too. The town is full of temples that are dotted across its lengths and the breadths. 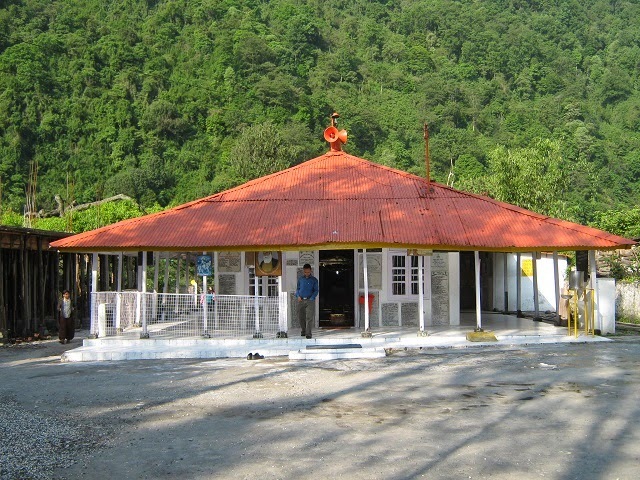 Kasar Devi temple, Raghunath Mandir, Nanda Devi, Binsar Mahadev and Rudreshwar Mahadev temple are the popular names. The traditional markets also play a pivotal role in upholding the town's lucky cultural image that hasn't been hampered since the mythological times; as mentioned in the sacred texts of the Hindu religion. On moving little away from this buzzfeed of civilization, you will find the quaint charm prevailing in its environment. Appears no ordinary, Almora from its height of above 1600 m offers spectacular view of the nearby peaks of Kasan Devi, Nanda Devi and Trishul. Summers are not at all tough here. A comfortable temperature with a cool breeze would be among the firsts to welcome you here. Just a little aside from Almora is another charming Himalayan sojourn Ranikhet which share its story with a legend and the military. However, the atmosphere of the men in uniform does not steal the charm from the profile of this hill station. 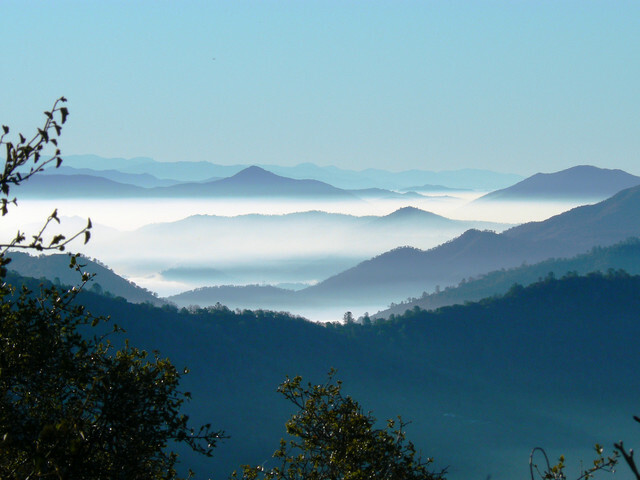 Ranikhet resides at a comfortable height to admire the western peaks of the Himalayas. Amidst tall pine trees the hill station retains its peaceful ambience that go undisturbed even in the chaos of the main town. Nature excursions in and out of Ranikhet are a lot comfortable even in the summers. On the other side, its civilization talks about various sightseeing options; Jhula Devi temple, Mankameshwar temple, Bhaludam, Chaubatia Orchard, Military museum. It's a trekker's paradise! 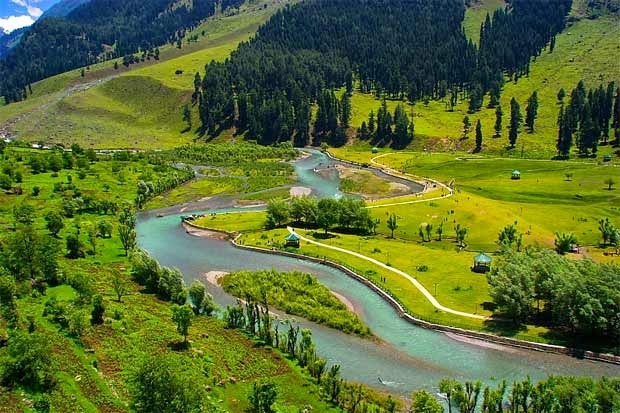 Settled little above the height of 7000 ft, Pahalgam is dotted with forests of alpine and coniferous, graciously drawn over the region's lofty peaks. This famous hill station in Northern India has always been fancied by movie directors and film makers. 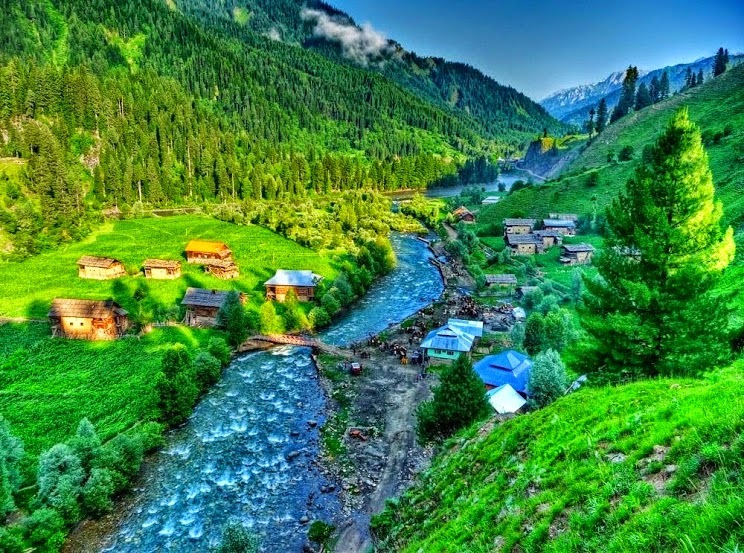 The reason being not just its high altitude green cover that gets painted the best in summers but also the numerous streams and ravines that run throughout the valley, sprawling flowerbeds, deep cut mountain valleys and blissful nature trails suited for travelers of different kinds. 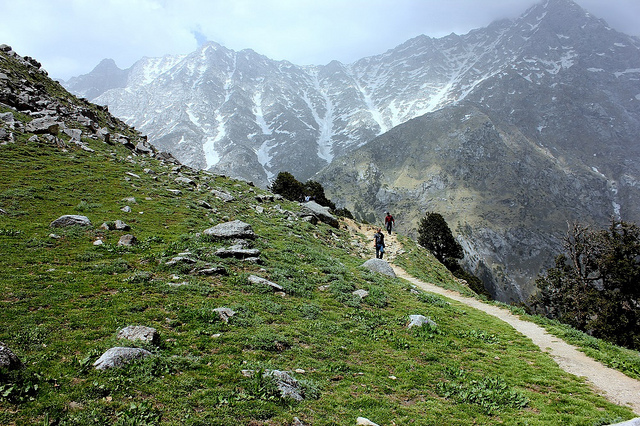 Talking about hiking trails in Pahalgam, the highly revered journey to Amarnath shrine starts from here and is best to be opted for during summers. To take you away from the chaos of pilgrim crowd is the Lidder valley trek. Quite an easy trek, the path will walk you through glorious alpine scenery and flowery meadows. Feel free to hire a horseman to take you through the less explored corners of this beautiful paradise. Himachal Pradesh talks about Kullu and it doesn't stop talking then. The talk starts with the cradle of Kullu; Pir Panjal in one direction, Paravati and Barabhangal ranges in the other and then it shifts to the nearby mountain villages that rise above paddy fields, thick alpine forests and snowy ridges. Need to mention the numerous trekking opportunities that these Himalayan creations are leaving for you? Well, to sum up this; the adjoining Parvati and Pin valleys hold the key for the real trekking experience in this part of Himachal Pradesh. Travel to this land in the months of summers and you will find all your trek routes open. The Spring festival, known as 'Pipal Jatra' is an additional bonus for traveling to Kullu at this time of the year. A perfect honeymoon spot in the Himalayan bounty, Nainital has a picture of forested valleys amidst which gently sails a lake. Looking at the huge influx of tourists from domestic as well as international lands, numerous hotel constructions have made their way on the banks. From the windows the sight of the beautiful lake and the surrounding Himalayas rising above the green forests says about the beauty of Nainital on its own. In order to admire this beauty of the region, mark the summer months as your holiday time. Summer temperature stays moderate with a cool breeze to make the evening sightseeing plans really wonderful. 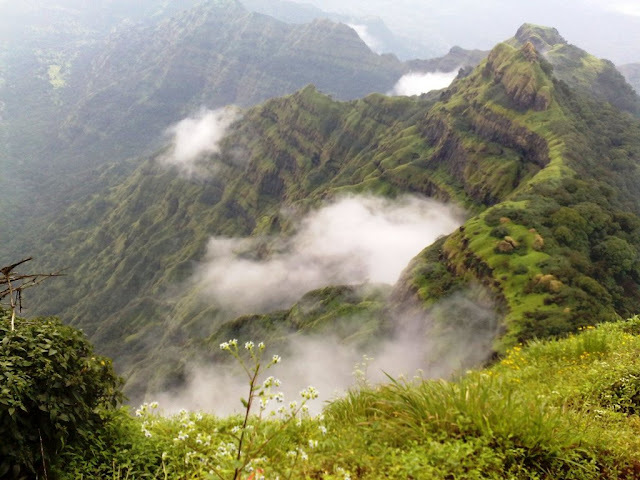 An alternative that seems to be very tiny, but a refreshing one; Matheran in the state of Maharashtra is famed for its alluring scenery that is slightly not like those of the Himalayas. It is famed as the smallest hill station in India and is relatively a better substitute that offers a kind of quaintness, the kind of which is vanishing from the other destinations in India. It resides on the Sahyadri range, away from the city heats, in a cool and less humid environment. Unlike the other hill stations of Maharashtra, Matheran's fun starts even before you reach it. The narrow gauge toy train which is the face of Darjeeling has its look alike even here. Don't bother taking the road, as nothing beats the train ride to make it to the heart of the settlement. Moreover, your vehicles won't be allowed inside. Come to think of it, the place is a lot green and less polluted than the other big shots in its segment. Relax and unwind in its breathtaking ambience, go on a hiking trail across its shady jungles; well that's the mantra here. Now how about a well settled administrative city for your summer vacations in India. Sounds boring? We will make you think again because it's no ordinary destination. 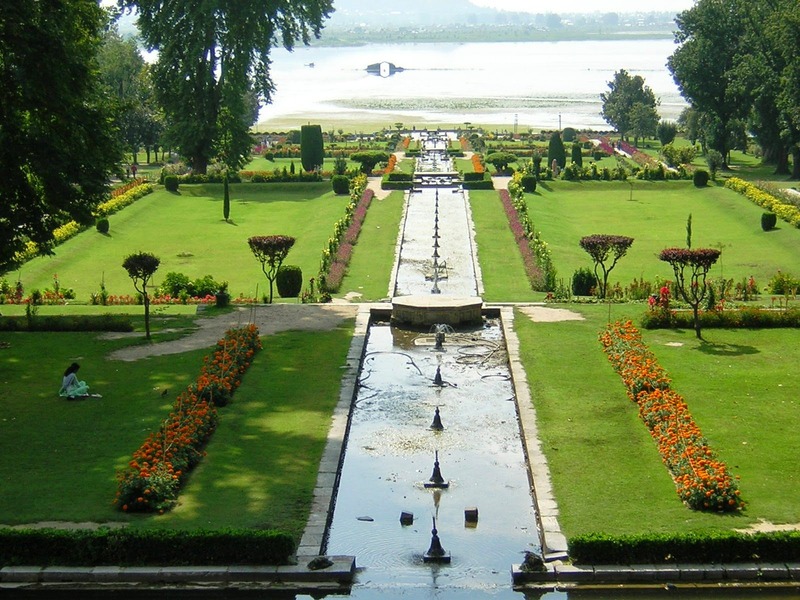 Flaunting a dramatized mountain location; surrounded by Himalayan land forms, lakes and swamps, Srinagar the capital of Jammu and Kashmir is amongst the best in our exclusive list of places to visit in India in summers. Since historic times, the place has been the favorite. Then there were the Islamic dynasties and rulers, now there are locals and tourists attempting to adjust in its chutzpah. Shikara (houseboat) rides in the placid Dal Lake, historic gardens on its bank; lovely creations of the Mughals, are the city's prime indulgences and visits. Meet these pleasantries of this beautiful city in the cool summer evenings. Following it must be the attractions within the concrete lines of the city that speak about religion from the most sacred of the mouths; Hazratbal shrine, Makhdoom Sahib and Shankaracharya Mandir. Shopping at the bazaar area of Lal Chowk can be booked for the late evenings. Being a part of an ecology so lush, Masinagudi in the southern corner of India tempts tourists from all over throughout the changing seasons. To be precise, it has its address in the foothills of the Nilgiri Mountains, which makes it completely adorned with alluring beauties of nature. Ideal to beat the scorching the city heat, the hill station has its special charm in the months of summers (cool in the evenings). Hiking and trekking across the dense forests is highly adventurous. 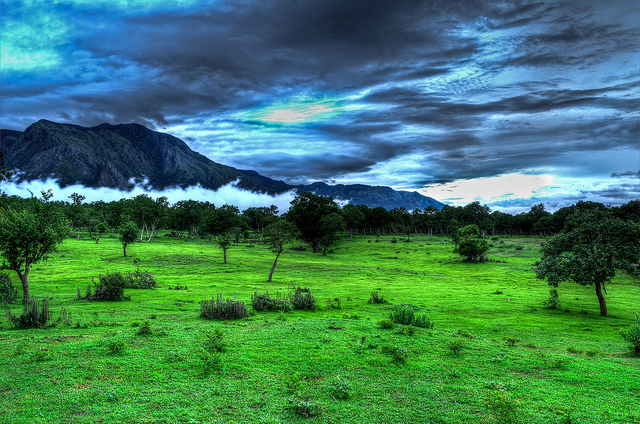 Did we forget to mention that Masinagudi is a part of the Mudumalai National Park? Going by it, the nature trails in the region facilitated wildlife safaris. Catch the sight of a variety of wild animals; Indian Bison, elephants, Chital (Indian deer) would be the regular posers for your camera. Another one from the state of Uttarakhand; Pithoragarh savors the title of Mini Kashmir, is located in nearby the borders of Nepal, in the breathtaking Soar valley. Like the other spectacular hill stations of North India, Pithorgarh too came under the spotlight of the British. Owing to which, the hill station sports colonial architecture that run across missionary schools, churches and government buildings. Summer trips to the hill station open access to numerous glacial treks and high altitude natural reservoirs. Its rugged charm also has a mention of Askot sanctuary, which certainly is a treat to wildlife enthusiasts and nature admirers. Amidst all this, the region never forgets to pay its devotion to the deities (Arjuneswar temple, Dhwaj temple, Kapilaswar cave). Perched at an elevation of 2438 meters above sea level, Deoria Tal is an emerald lake located near Sari Village in Uttarakhand. During early morning on a clear day, Deoria Tal blesses the trekkers with reflections of Chaukhamba peaks on its crystal clear water. The easy trek to the lake starts from the Sari Village where one could find provisions as well as homestays. The trek is well marked and can be easily done without guide. Deoria Tal is situated amidst lush green inclined field surrounded by dense trees. The lake serves as a popular trekking destination in the region because of its ease of access and soothing scenic beauty. 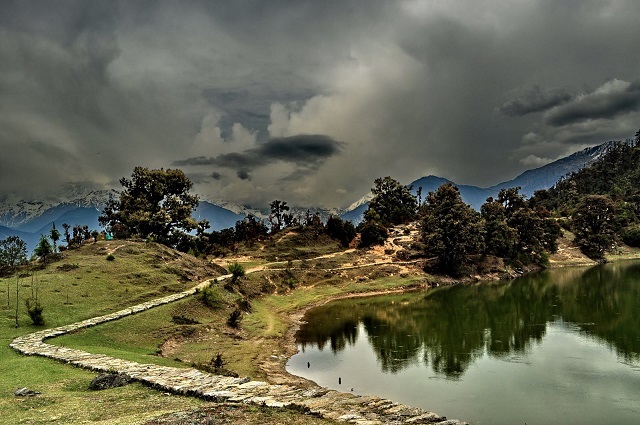 Deoria Tal lies in the Kedarnath Musk Deer Sanctuary. If lucky, then you can spot animals drinking water from the lake early in the morning. Therefore, an overnight stay at Deoria Tal is must. However one has to pay the mandatory entry fee while visiting this lake as it is part of the reserved area. Deoria Tal is one of the best places to visit in India in April and May. However it could be visited round the year if you are looking for adventure.